Hoshiarpur is a small, quiet town located in the Doaba region of Punjab. Whilst it is not known as a tourist destination I was happy it was included on my recent itinerary to Northern India. I was fortunate to stay at Citrus County, a sprawling farm stay in the middle of seventy acres of citrus orchards. It was so peaceful and a refreshing break from the hustle and bustle of the cities. Tucked in the foothills of the picturesque Shivalik range in the outer Himalayas this delightful farm is managed by personable citrus grower Harkirat Ahluwalia and his wife Jasveen. The family were once its principal landowners and Harkirat’s grandfather planted the orchard over half a century ago. The area is considered to be the greenest of the districts within the state. Citrus County (just love the name) offers spacious rooms in the farmhouse and nine luxury tents which ensure privacy and all the comforts of home. 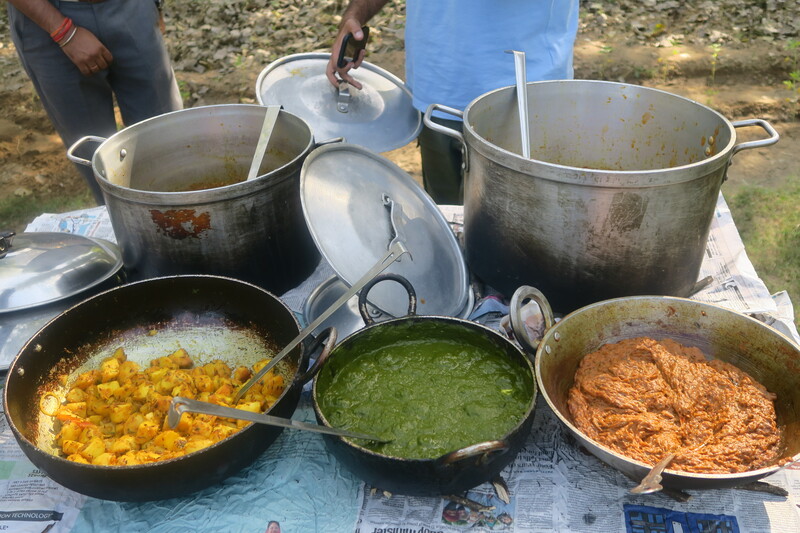 They serve the most delicious fresh Punjabi food with plenty of traditional rural hospitality! Also on offer is a hands-on experience of village life coupled with some adventure and getting close to nature. Hoshiarpur is a thriving market town, known particularly for its inlay work and the Takhni-Rehmapur Wildlife Sanctuary. I enjoyed a walk through the village and meeting some of the locals. Daily village activities include a ride on a tractor, a walk through the kinnow (mandarin) farm and an adventurous jeep safari through farm and forest land in which some wildlife can be spotted. The route also includes a drive through the dry-bed of the seasonal rivulets that Hoshiarpur district is famous for. Also on offer is a visit to a dairy farm to see how the ubiquitous paneer (cottage cheese) is made. Hoshiapur’s history can be traced back to the 4th century when it was part of the Indus Valley civilization. Known as the ‘city of saints’ Hoshiapur is a great destination to delve into the traditions and teachings of the Sikh faith. The ancient astrological text, the Bhrigu Samhita has been preserved here for ages, and anyone seeking to trace their past, present and future lives make their way to Hoshiarpur. For those seeking some peace and tranquillity, Hoshiarpur has one of the most famous ‘Vipassana’ (meditation) centres in India be sure to stay at Citrus County – I can recommend it!